Oh how I love the Fall season! Every year when it gets to the end of August I get so anxious for those fall cool and crisp temperatures to get here and being able to pull out all the sweaters and cardigans. 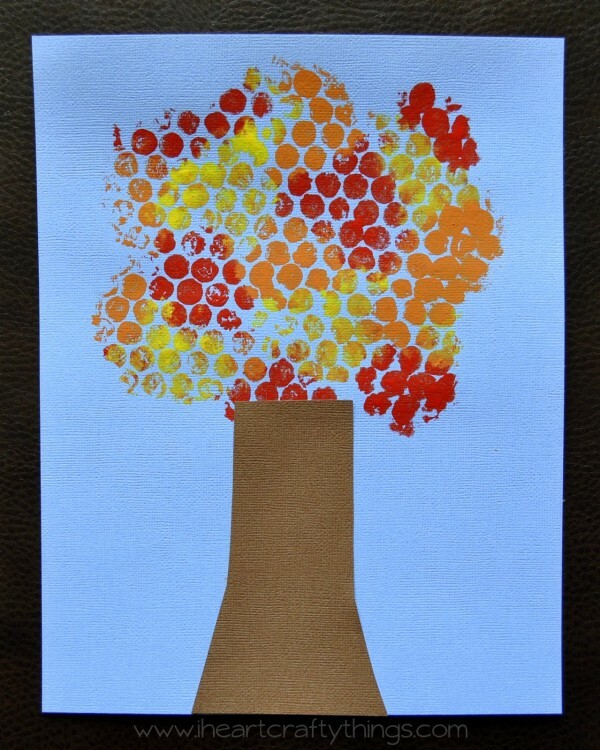 It’s also my favorite season for crafting. 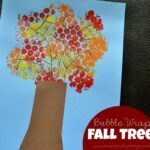 Last year we shared this fun Bubble Wrap Fall Tree Craft over at Cooking with Ruthie and I’m happy to be able to share the full tutorial over here this year. 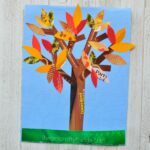 So get out some bubble wrap and those beautiful fall colors of red, yellow and orange and have fun with your kids making this pretty fall tree craft. 1. Start by using your black marker to draw the top of a tree shape on the back of your bubble wrap (the side without the bubbles) and use your scissors to cut it out. 2. 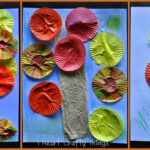 Pour a small amount of red, yellow and orange paint on your 3 paper plates. 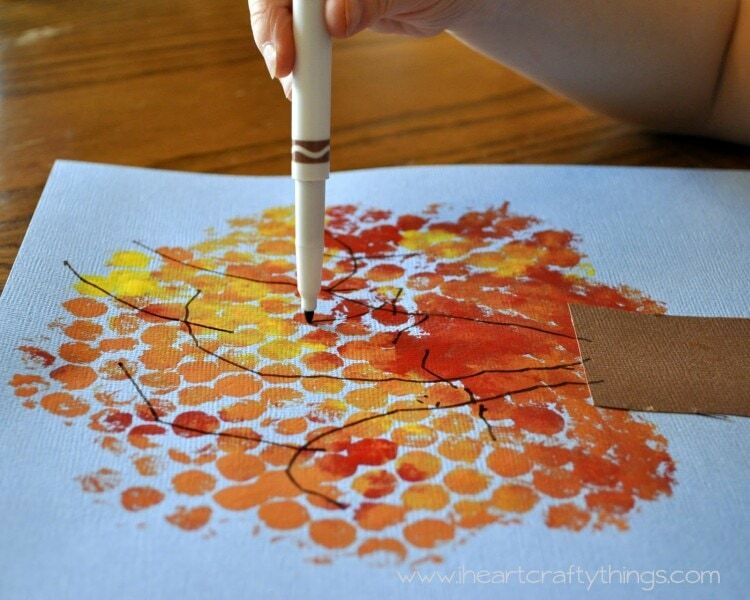 Use your paintbrushes to paint the different colors all over your bubble wrap tree shape. 3. Once you have finished painting your bubble wrap, turn it over and press it onto the top center of your blue cardstock paper. Set it aside to dry. 4. 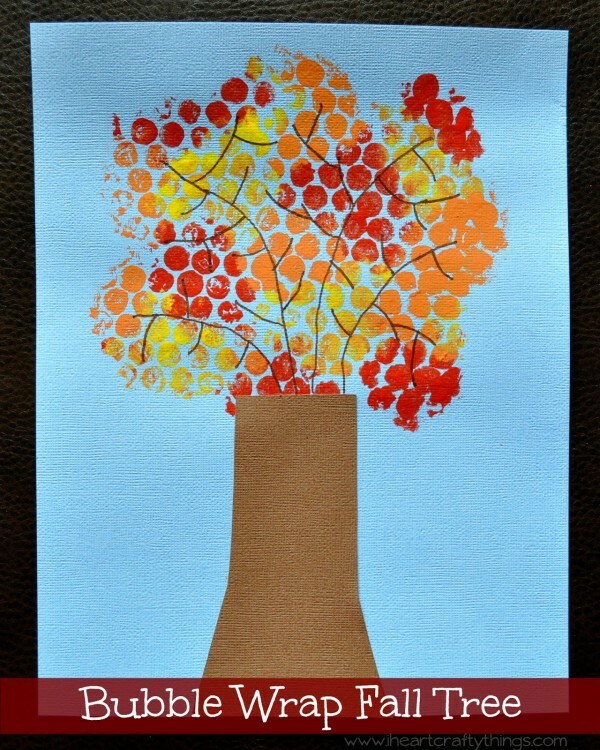 While your paint is drying, cut a tree trunk out of your brown cardstock paper. For my daughter (just turned 4 years old), I drew a rectangle shape on her brown paper and had her cut it out. 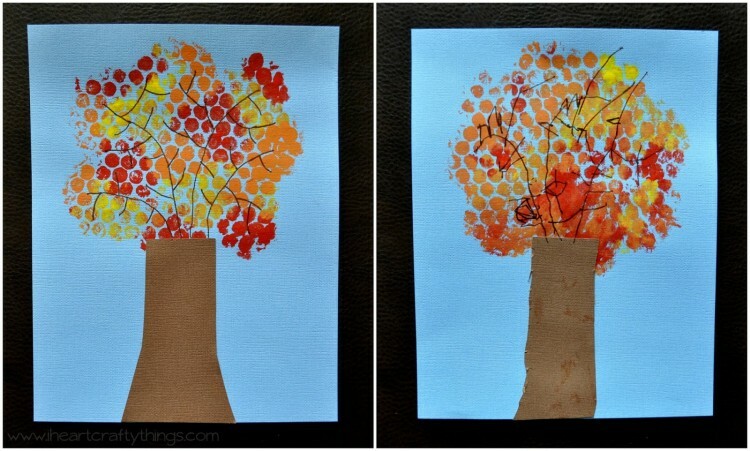 This makes great scissor cutting practice for preschoolers. 5. After your paint is dry, use your glue stick to glue your trunk onto your tree. 6. Finish your tree by using your brown marker to draw tree branches inside the bubble wrap, on top of the tree trunk. I love how these turned out! In my tree (below left) I left my colors more separate from each other, but my daughter (below right) mixed her colors together more and I really liked the effect she got from it. My favorite part of this project is how family-friendly it is. Toddlers up to older kids and even parents will enjoy making it. 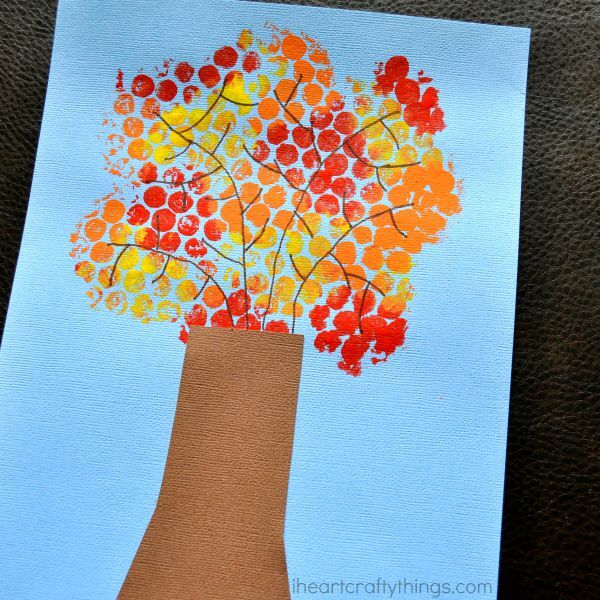 You might also enjoy our Fall Puzzle Tree, Fall Cookie Cutter Stamped Tree, or Cupcake Liner Fall Tree. Follow I Heart Crafty Things on Facebook, Pinterest, and Instagram for more crafty fun!